Are you seeking vitality, lean body composition, longevity, great energy and disease prevention?? 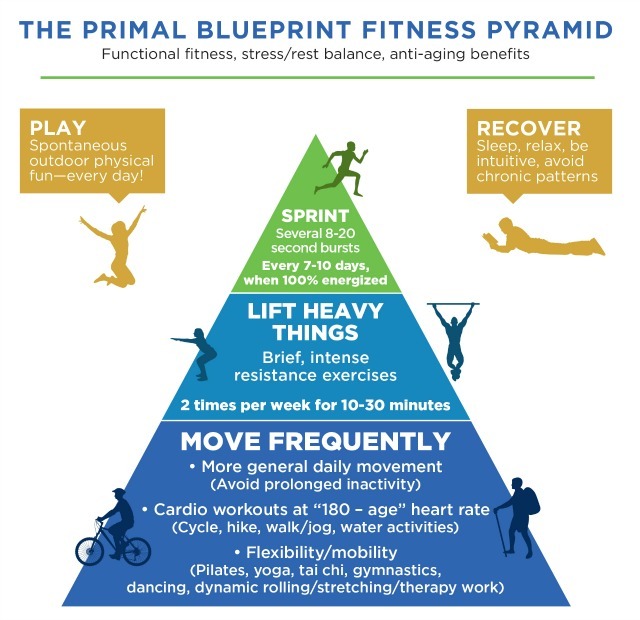 Here is the answer from the fitness perspective, Mark Sisson’s Primal Blueprint Fitness Pyramid. With just the right balance of intelligent movement, nourishing whole food, quality rest and positive mindset, we can reprogram our gene expression towards thriving health. As a Primal Health Coach, I guide people to understand the science behind optimal health, and empower them to achieve their personal goals to living with vitality. Here’s to enjoying radiant health!